This 8" birthday batman cake is a chocolate cake with buttercream filling & frosting, and fondant batman. 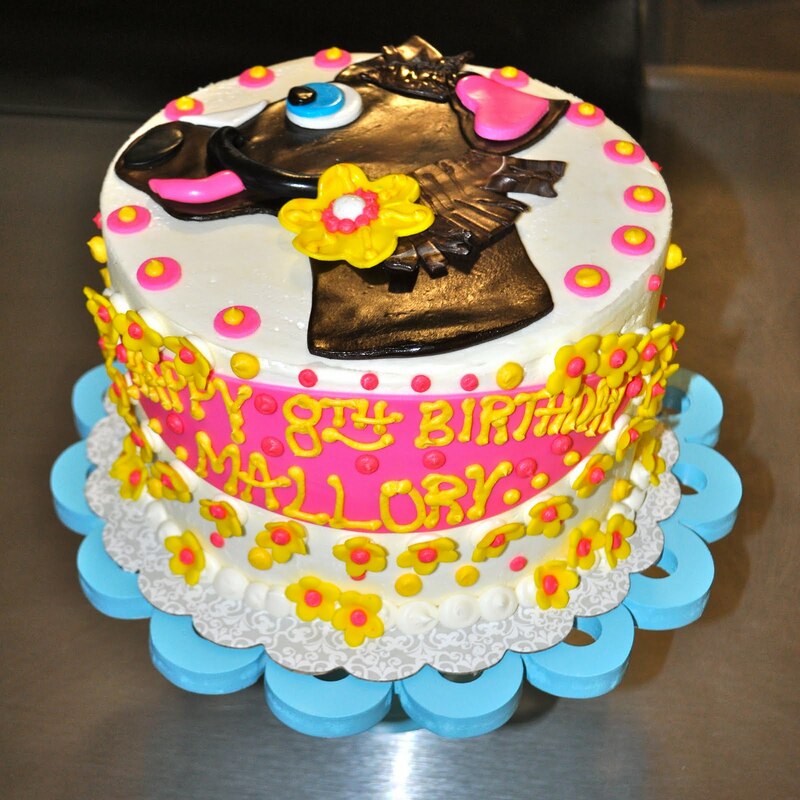 This 8" "Pony" Cake was for Makenzi's 10th Birthday. 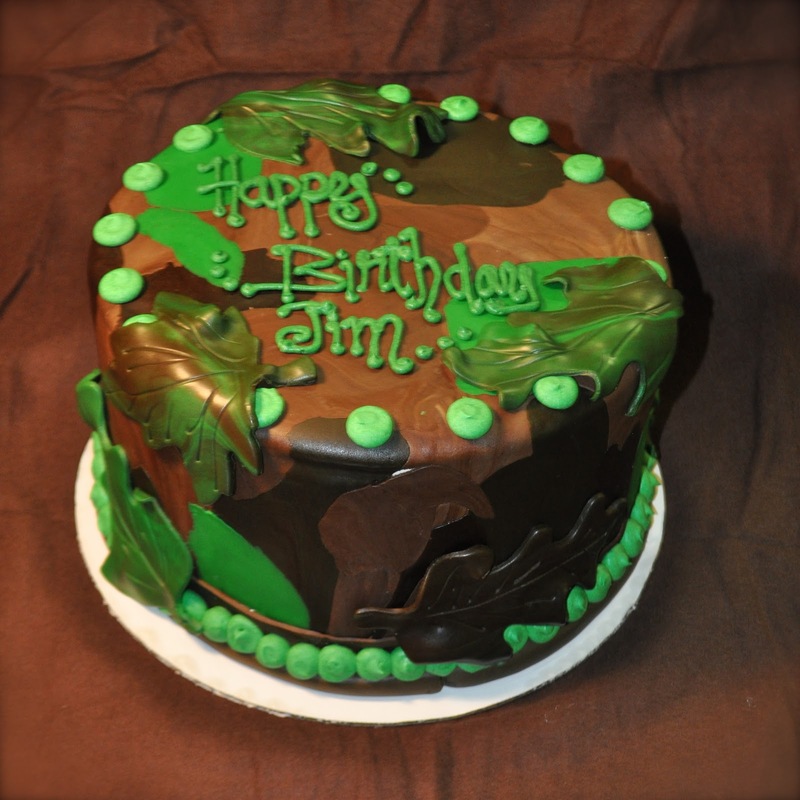 It is a chocolate cake with chocolate buttercream filling & buttercream frosting. The little pony is made out of dark chocolate fondant! 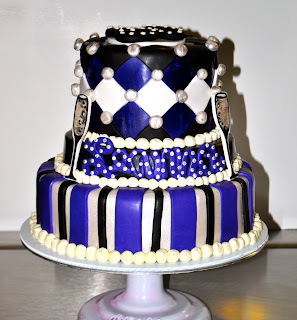 This stacked cake was for LeAnna's 50th birthday! 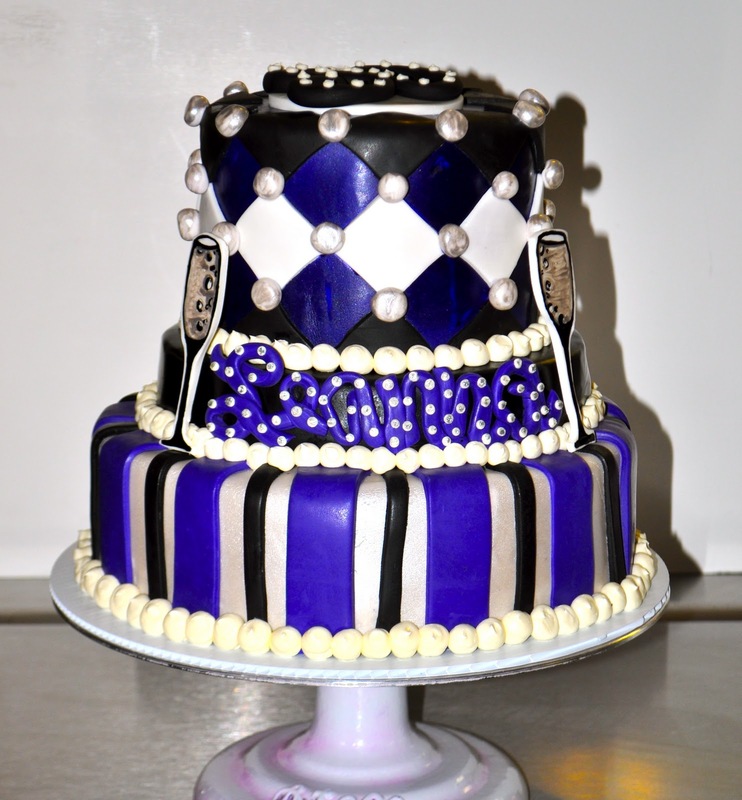 It is a white cake with buttercream filling, and covered with purple, black, and silver fondant. This is a stacked "bounce house" for Sarah's 7th Birthday. 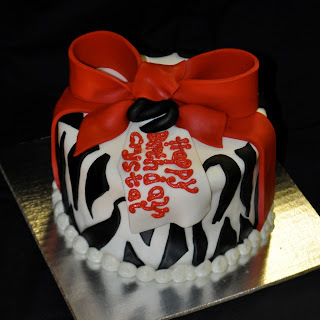 It is a marble cake with chocolate buttercream filling, covered in fondant with fondant details. 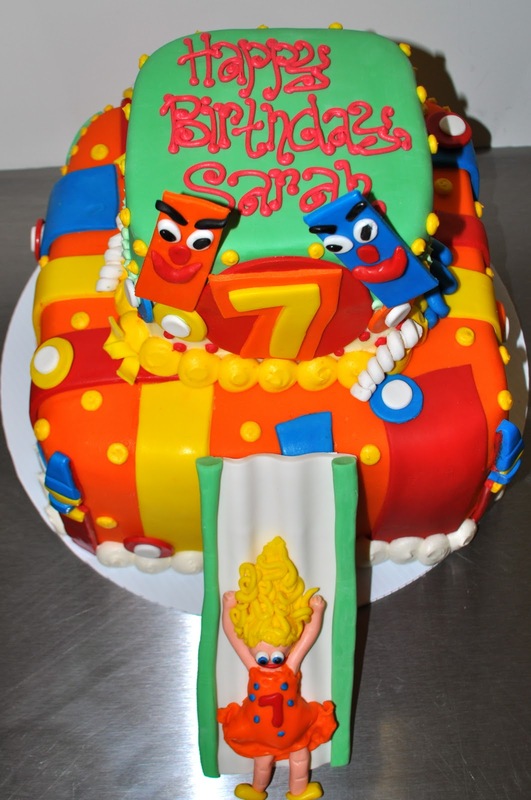 Little Sarah is also made out of fondant. This little 6" birthday cake is for Sophia to smash! The tiara is made out of fondant & airbrushed. It is a white cake with buttercream filling. So cute! This is 4 dozen funky 50th birthday cupcakes! They are white, chocolate, and strawberry with fondant and sprinkle decorations! 3 Dozen White with BC mini's for a 4th Birthday! 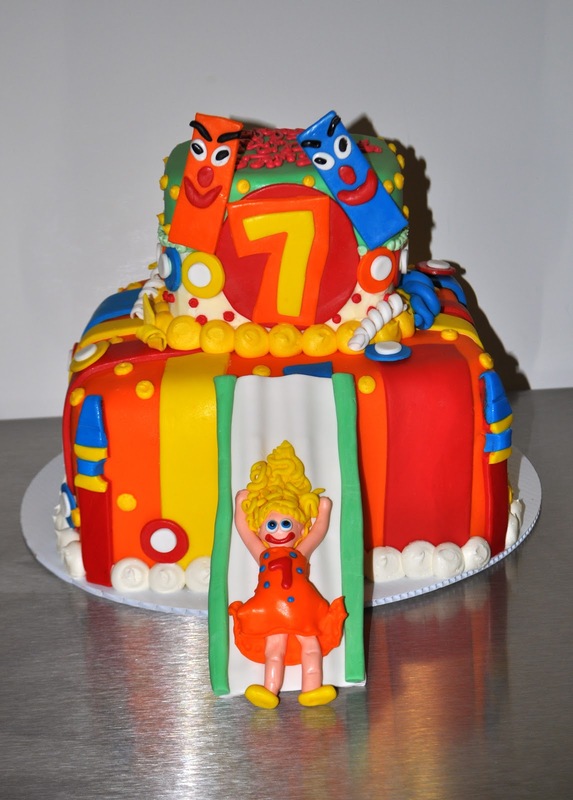 All little characters are fondant. This is a 10" Chocolate Chocolate chip cake with fresh strawberry filling & chocolate buttercream. The Camo and leaves are made out of fondant. 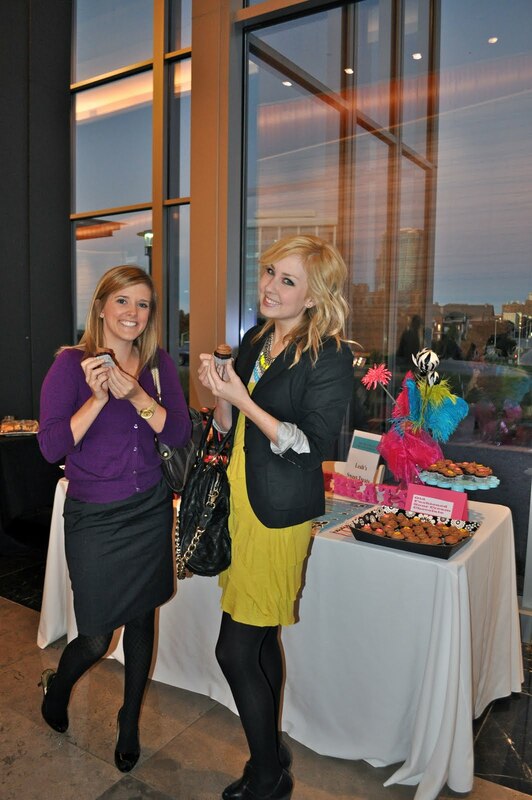 "The cakes were GORGEOUS! You way outdid my expectations, Leah! And very, very yummy, too, which is often hard to achieve with such a highly crafted artistic creation! Thanks so much! 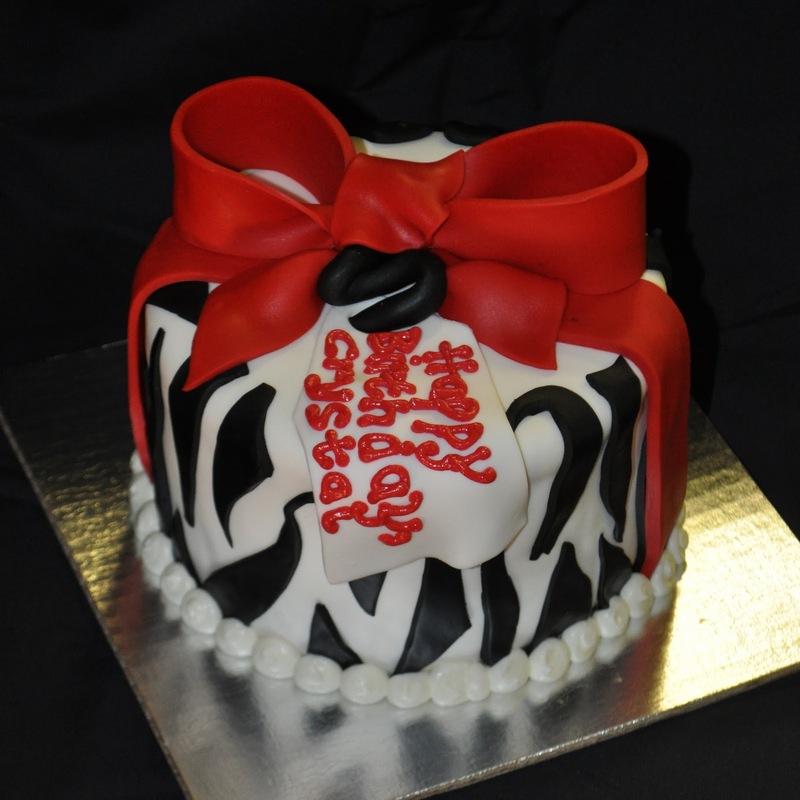 This cake is an 8" vanilla bean cake with buttercream filling. It is covered with fondant & airbrushed. 2 Dozen Mini cupcakes with a "Thanksgiving" theme. They are pumpkin with cream cheese frosting, and the turkeys are made out of fondant! 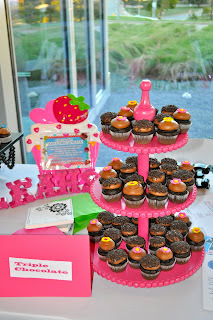 This was my setup at the "Wild About Chocolate Event" for the United Community Centers, Inc.. 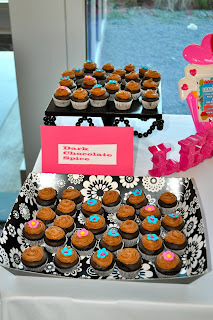 There were 150 Mini Cupcakes- Triple Chocolate, Dark Chocolate Spice, and Old fashioned Sour Cream Chocolate. 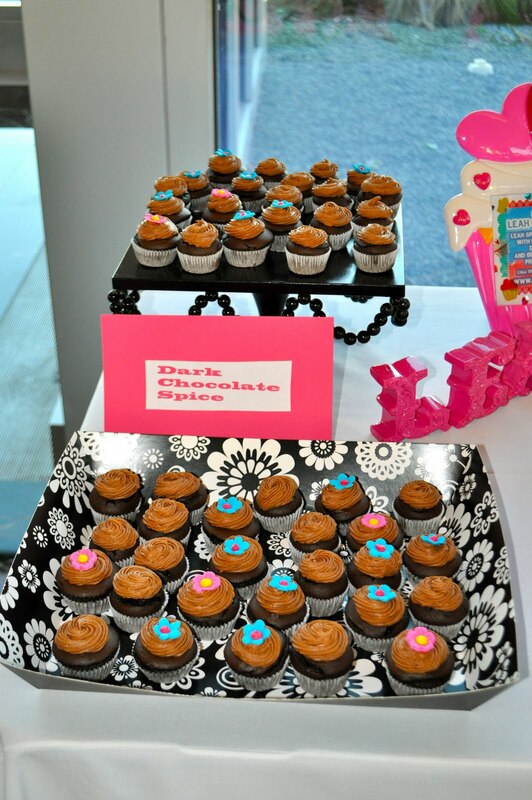 It was an awesome event with a great turn out & great people and MMMMMMMM lots of chocolate!! 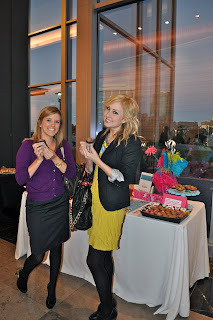 "Leah, the cupcakes were a hit for the girls weekend! Thank you so much for making them...they tasted yummy!!! This is 3 dozen mini cupcakes- chocolate, white and red velvet with a "sushi" and "red and black" theme. These were fun to do because I actually do not eat sushi so had to ask all my friends for advice on which "rolls" to try to recreate!! 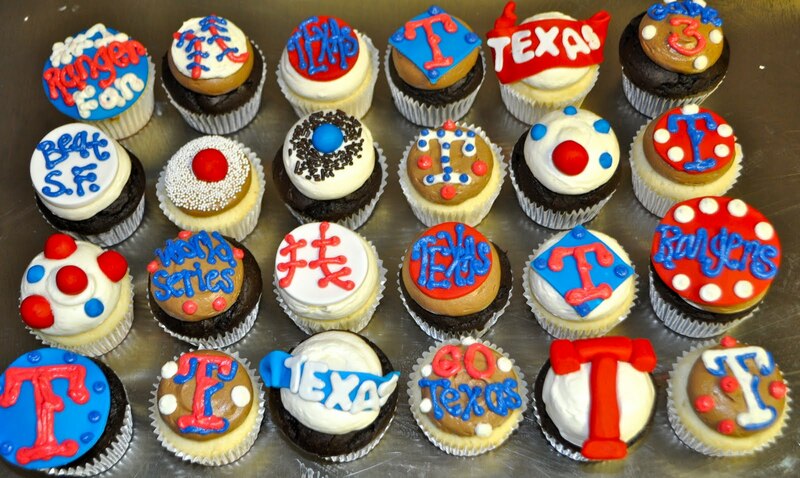 The cupcakes were delicious and so adorable!! Everyone loved them. Several people asked who had made them. We'll pass along your info. This 10" Star Wars cake was for 2 Brothers- Landon and Maddox! 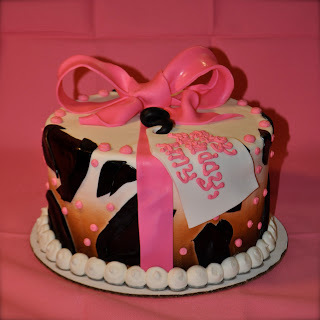 It is half chocolate & half white with buttercream & chocolate buttercream filling. The "galaxy" around the cake is made out of fondant, and the clone trooper & darth vader are painted on fondant, as well as the star wars logo. This 8" Birthday Cake is for Mallory's Birthday. She wanted a horse head on top of her cake :) It is chocolate with chocolate buttercream & fresh strawberry filling, buttercream icing & fondant & buttercream details. The horse head is all fondant. This is a 12" Donald Duck Bridal Shower Cake- it is chocolate with chocolate filling- the top part is fondant and the rest is buttercream. Donald is painted on with food coloring on fondant. wish you could have heard them when they tasted it! It was delicious. Thank you. I look forward to another opportunity to call you. 8" White Cake with buttercream filling- "Cupcake Birthday Cake"
2 Dozen mini Halloween Cupcakes- Yellow & Chocolate with Buttercream & Chocolate Buttercream. 2 Dozen standard cupcakes- white & chocolate with buttercream & chocolate buttercream with fondant & buttercream details! 2 Dozen standard cupcakes- white & chocolate with buttercream icing & fondant details! Click on this pic to find out more about Leah! Want to see more pics of our signature sprinkle cakes? Click on this pic! 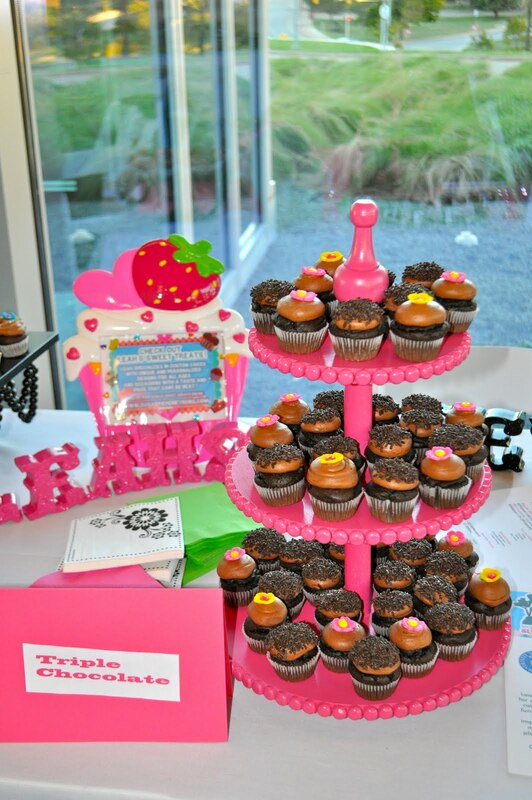 Want to know more about our custom cake pricing? Click on this pic to find out more!! Check out the main website! Click on pic of Leah and Sweet Pea to visit LST's Facebook Page! When life gives you lemons, make lemon cupcakes!